Forty-two years is a long time to be doing the same thing; but Adelaida Zara of San Salvador in Lipa City takes pride in her small bucayô business and what it has done for her and her family. Born in 1940 in the years of the Japanese occupation and now all of 72 years, ‘Nanay Deling’ now has on her head a mane of white hair but she continues to make and sell the bucayô that has been her and her family’s livelihood for so many years. 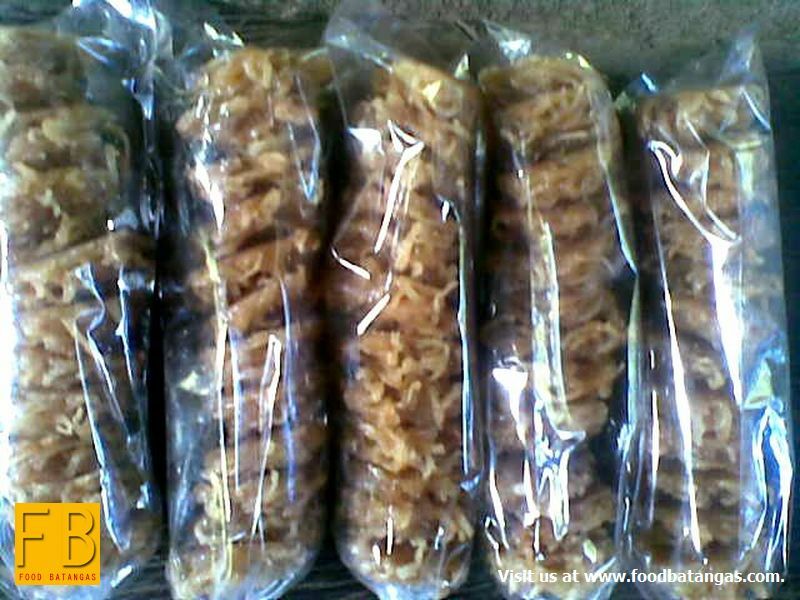 For those who may not know, the bucayô – or bukayô – is a native Filipino confection made of grated strips of gelatinous coconut meat cooked in oil with brown sugar or molasses. When done, the bucayô is molded into round tablets and cooled till the tablets harden. The bucayô may be enjoyed either as an after-meal dessert or even as a light snack. Nanay Deling recalled that her family business was originally located in Barangay Tambô in Lipa City at a time when the city was still largely agrarian and coconut trees abounded. They got started in the business after a terrifying typhoon wiped out her family’s livelihood and they needed to start all over again. A coconut fruit cost no more than 5 centavos when they got started, she laughingly narrated. Humble though her family business might have been, through her own and her family’s hard work, they were able to have their own house built. She also takes pride in having been able to send her children to school from what she earned from her small enterprise. Like she did in the old days, she continues to sell her bucayô to stores around the city of Lipa and the municipality of Mataas-na-Kahoy. Still strong and wiry despite her years, there is no doubt that she will continue to make her bucayô for a few more years yet in her humble home. We tried her bucayô – shaped smaller than most bucayos one sees sold in the market – and it was excellent. It was soft, chewy and had just the right amount of sweetness. Because the bucayô was cooked over firewood, it also had a distinct smokey flavour that made it taste even lovelier. 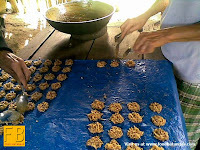 For those interested in Nanay Deling’s bucayô, she may be reached at Zone 1 of Barangay San Salvador in Lipa City.